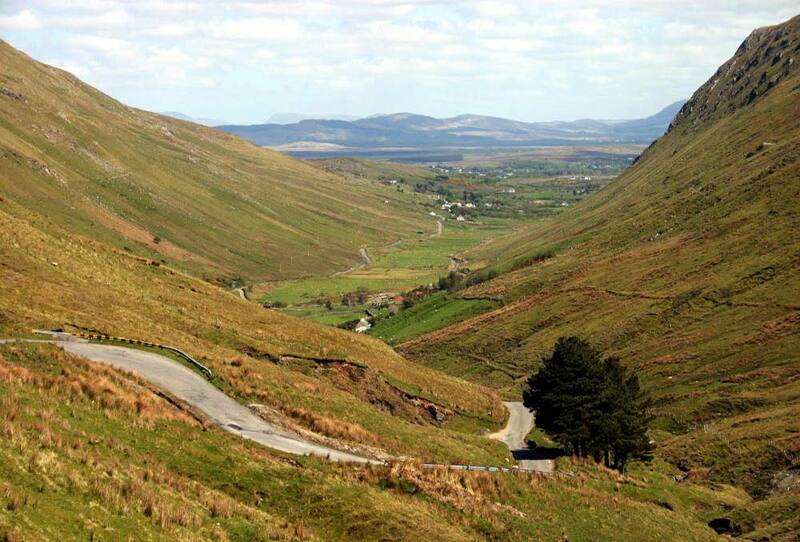 The Glengesh Pass is a winding section of road which links Glencolmcille to our beautiful Ardara. The route is a very popular road to take on your way back from Slieve League. This meandering drive can assault your senses with the magnificent scenery that abounds and bring you back in time – when there was more time! Dotted along the route are old cottages and farmsteads. Glengesh (Glen of the Swans) is one of two glaciated valleys that carve the Northern edge of the Banagh Peninsula. A pleasant unspoilt trip that is well worth taking. When you leave Glencolmcille it is a 15 mile journey back to Ardara.